Two college students in Vancouver, Canada struggled to make ends meet. These two, Kyle and Carson, met and became friends and sometime in 2003, they began to toy around with affiliate marketing, going from one program to another, tried to unlock the affiliate marketing code amist the many conflicting training programs available then, which ranged from very good to absolutely useless and scammy….until they were able to figure out the solution from the conflicting and often fraudulent sources then available. Within a few months they became known as the wealthy affiliates in their local community. Having found the power of keywords and how they work in the business model, they detoured away from their chosen careers to get into the action. As was the norm for most marketers in the Internet marketing training industry, even honest, ethical marketers dared not play out too much line to their subscribers for fear highly guarded secrets would become known to everybody, causing loss of revenue and effectively shut down businesses. During this time, Google was still an infant at the time, not yet able to put any of the riff-raff in check. Even the “honest” affiliate marketing programs out there contradicted with each other and many with good intent were putting out junk, not knowing what they were doing, not to mention the vast pits of snakes preying on the unwary opportunity-seekers offering inferior and worthless products and robbing them blind. From the beginning, Kyle and Carson set out to teach others what they have learnt and to lay it all out on the table. It is a move that, what others feared would kill their businesses, would bring great fortune, not only to them, but literally thousands who came to learn, followed their instruction and implemented what they have learnt. 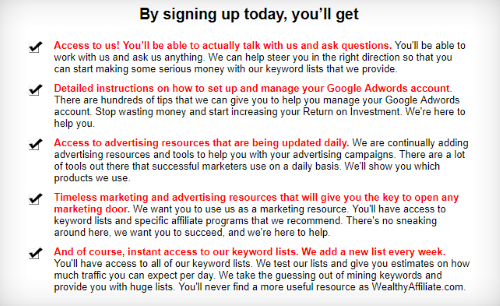 The Earliest Wealthy Affiliate, as a Keyword List Site, Looked Pretty Dull, but Offered Much More and Out-Shined All the Rest! Within days, at $29 USD per month for the keyword lists, owners Kyle & Carson caring for their members like no other program owners, the levels of support and all the many extras unheard of at that time for keyword list sites, it took only a few days for the new Forum to hum with activity. In September 2005, Kyle and Carson launched the keyword list site which, in lieu of a pay it forward mentality, resulted in a unique community that helped make it become the industry leader. At a modest price of $29/mo, subscribers jumped at the opportunity to get in on the action. Why not? The newly formed Wealthy Affiliate site featured, not only weekly keyword lists, but one-on-one coaching and support from the Kyle and Carson themselves in how to build successful businesses. Unlike any other keyword list site, the founders offered training and support on building websites, article marketing, email marketing PPC and basic SEO. From the beginning, everything was done on the Platform and a stand-alone forum, and the early tools of choice came from the best available at the time on the Internet. It Was $29/Mo for Membership and In October and November 2005 the Membership Rapidly Swelled Way Beyond Expectation! No hype, no black hat marketing! The rest is history! Kyle and Carson continued to tweak and grow the membership site. During the next four years before I joined, web hosting, a member-supported job bank, a simple but comprehensive website-building tool, feeder site templates, a number of article-writing tools and more features too numerous to mention were developed and perfected beyond what anyone else had to offer. By the time I joined, many more of the features that are found on the Platform today rolled out. The continuous evolution and development which continues to occur at ever-increasing velocity, now with a massive community of like-minded members, unlike any other due to the same pay-it-forward mentality. By Late 2008, the Time Was Becoming Ripe! Shown above, the Wealthy Affiliate Front-End Site (otherwise known as the sales site with insiders’ view of the platform, as they were c. 2008. This is what the home page (down to the fold) looked like the first time I had been to Wealthy Affiliate. Like many online opportunity-seekers in 2008, just about every email account I had was cram-filled with email subscriptions to all kinds of online opportunity authors and business owners, all claiming they had the key. All but the very best companies from which I received emails offered little more than hype and unreasonable expectation in the advertising I was getting. Of the top choices I had at the time I ran into Wealthy Affiliate, SiteSell, InternetMarketingCenter, and other top-notch training were at the top of my list. I had by this time, found Ross Goldberg’s Immortal Internet Marketing. I followed this guy for some time before he ran a seminar late that year. I attended it and made some friends. It was kinda the fore-runner and prototype of what was to come in my life. However, the many speakers featured in the seminar, though they each had something to take home, the ultimate drive of the seminar was, as one would expect – one great big sales pitch. By this time, I was well-accustomed of this sort of thing since 2004 when I began pursuing Internet marketing. Without the details, after the seminar, I contacted Goldberg via email and quickly discovered this guy had no use for me. Coming home from work the next day, I got a response that rose the hair on my back, “I’m trying to get a $10,000 product launch! Don’t bother me again!” My heart dropped. This just scratched the surface! Eurika! I Found It and My Search Was Over! The above-mentioned website was a shocker to me. It was a sight for disillusioned sore eyes. For you to get the ultimate in what I experienced, I have provided a few links to original sources as they were as I found them. In late 2008, after having been to a number of other affiliate marketing training programs, I got an email from an online marketer, Ryan Moran, whose list I was subscribed to at the time. The link takes you to a historic video made by Ryan from that time. It portrays what was on the Platform at the time. The email spurred interest and I was hooked. Unfortunately I couldn’t afford the low subscription at the time. Looking at the video, this is what you got for $39/mo. or 359.88/yr. Even by today’s standards, what’s on that video is impressive! It only gets better as you will see. I was pretty amazed at what I found on this website, something I had not ever seen the likes of. It was almost surreal finding what I had in those pages. Something from the get-go, even that which I read in the original email, I knew this was it – I finally found, above and beyond, what I was looking for! One of the Infographics that Got Me Excited! I looked at SiteBuildIt and found that too expensive. Wealthy Affiliate had that beat by a mile. I settled for IMC because it was running a sale. I purchased the Insiders Secret to Marketing Your Business on the Internet Course and was disappointed with it. The company tanked very shortly after, from mismanagement. Hating the job I was doing, and nearing the end of 2009, it dawned on me that I could use my refund to join Wealthy Affiliate. Albeit, I could not quite remember the name, forgetting one of the words that make up the name, so I searched for it. It took no time to find it, but I found something I thought was a new development – Wealthy Affilate for Free! No, it wan’t what I thought it was. It was one of the members (who is still there) with a guidebook he was offering that gave the ins and outs about Wealthy Affiliate. We befriended. When I first found Wealthy Affiliate, I was struggling with a part-time, minimum-wage job and occasional side work, I simply did not have the money to to join. With renewed interest, and remembering this experience in November 2009, I once again sought out this website, and thought I found a free version of it, but it wasn’t. This is when I met Marcus Cox and his website, wealthyaffiliateforfree.com. From the UK, this person and I struck a friendship and I subscribed to his newsletters. I was impressed with his success story about leaving the factory, replacing it with doing aspired him. I discovered that my subscription would benefit Ryan Moran because of the cookies. I wanted my new friend, Marcus Cox, to get the affiliate sales. I requested to be put on his roster, and it was done. What made Wealthy Affiliate so attractive and jaw-dropping to me? There were items that were completely missing. It was nothing like I had ever seen before on the Internet. The promotional information completely lacked the usual hype and false promises found in those email subscriptions and the websites they were linked to! That alone really hit me. Kyle & Carson’s disclosures and statements were frank, to the point, and nothing left out. I searched for a day trying to find negative reviews and customer rants about Wealthy Affiliate and found virtually NONE! This didn’t seem real at all, but the searches resulted in countless positive reviews, many of course, were reviews by members, but even in the Warrior Forum at the time, could not find anything negative about Wealthy Affiliate. 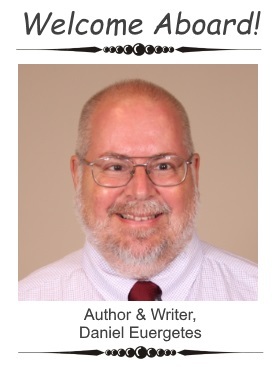 Any title that drew me in, The Truth About Wealthy Affiliate, Read This Before Joining WA and even Wealthy Affiliate Scam!, were all attention-getters. Once reading the articles and reviews, they all said the same thing – This IS the place to join! I was certainly impressed and sought to join at that time in 2008, sent an inquiry to Support at the time whether or not this program would work for me. I received a very quick response from Support by Cara. I was hooked. I finally found the place I was looking for! I didn’t have the money available to join at the time, working a part-time minimum-wage job. I wanted so badly to join! I became very ill during the early part of 2012, now having been a member of Wealthy Affiliate pushing for my third year, and in bed with little energy and in pain, had been away from my computer for several weeks. Upon returning, I was shocked when I went back to my account and saw the Platform. It had gone into it’s third major roll-out – a complete overhaul of the Platform, many new additions and updates. I was sad to see the old look of the Dashboard go, but the new one was no doubt far better, easier to navigate and far improved over the old. As has been said by many others, Wealthy Affiliate stands alone as the most powerful and unique affiliate marketing business training platform of all time. 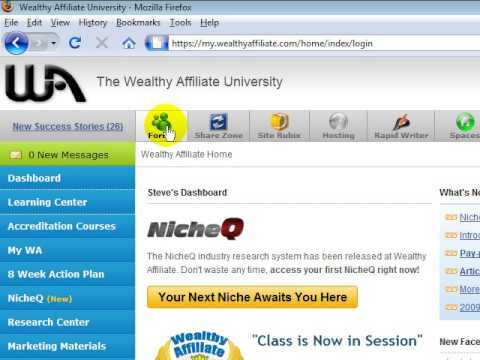 I have been at Wealthy Affiliate now for going on nine years. I have yet to see anything come close to this amazing business-training platform. Nothing comes close, not even remotely close! 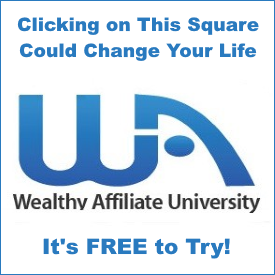 I have searched many times since the day I discovered Wealthy Affiliate. Since I joined, the updates and added benefits are way too numerous to list out here. It’s not easy keeping my review of Wealthy Affiliate current with this. Technology has changed but the very core within Wealthy Affiliate has not. Buried beneath it all, you can still get those keyword lists! The philosophy has not changed. The sheer success of this community was made possible by Kyle & Carson’s approach to business – pay-it-forward. Wealthy Affiliate is a legacy of our time and has made history to be noted by the Internet community – a phenomenon shared only by very few entities, and none in the affiliate marketing training industry. Wealthy Affiliate is extremely healthy and is still growing. The owners truly take good care of their members – something you need to see for yourself. Like never before, and it took me awhile because of my own shortcomings – a little over two years after I became a member at Wealthy Affiliate, I started earning online residual income. It has not stopped since except for a single month during the 5+ years the income has been coming in. If you’ve been taken by scammers whilst trying to find a reputable, honest and proven business model to provide extra income and even replace your job in time, I strongly invite you to look into this. You will not be disappointed. My Final Thoughts and an Invitation! It’s now August 4th, 2018, 8:30 pm EST. I am still a happy member of Wealthy Affiliate. A few people who were there when I joined the community are still there today. I can’t say just how much larger the community is today compared to what it was when I joined, but it’s many, many times larger! From what I understand, about a million people have been through Wealthy Affiliate’s doors, many of whom have forever changed lives. Total revenue, even back when I first joined that was earned by members up to that time was “several hundred million!” It is inconceivable what that is today. My own income at Wealthy Affiliate began in 2012 and has not stopped since. It is the first place and time I ever made a dime on the Internet. 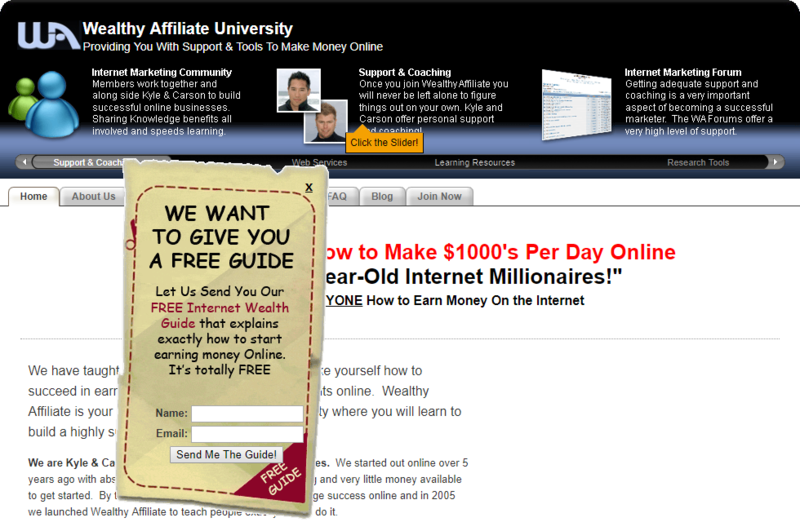 Wealthy Affiliate has always delivered on what its promotional website says. It flies high and nothing rivals this amazing place in any way!